Dr Trevor Chong is a neurologist and neuroscientist, currently appointed as a Senior Research Fellow at Monash University. He directs the Monash Cognitive Neurology Group, and leads research programs supported by organisations including the National Health and Medical Research Council, and the Australian Research Council. 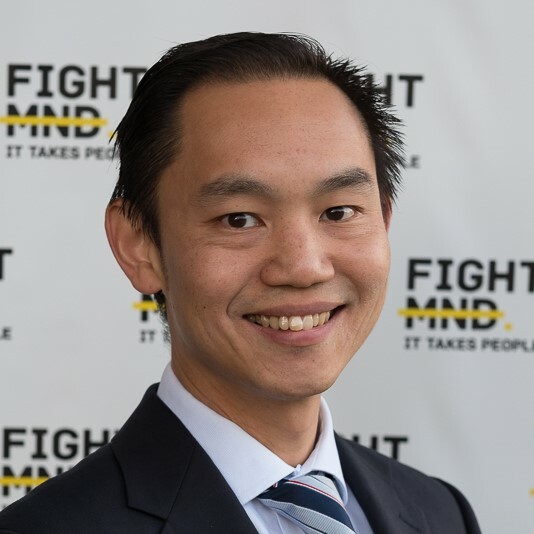 Dr Chong chairs the research (‘Cure’) committee of the FightMND foundation. He has the great pleasure and privilege of working with the brilliant members of our research team to fund the very best research that will ultimately lead us towards a cure for MND.